If you want to start making use of the tagging features in OS X 10.9 Mavericks, you can just download or buy Leap, Yep, Fresh or Deep right now and get going! Ironic Software, along with the rest of the tagging crowd is pleased to note the addition of Tags to OS X 10.9. What will Ironic do about it? 3) Continue to supply tools that will make tagging more useful on the Mac. Its very likely that the interface for tagging in Mavericks will be a little watered down for many people’s taste. We want to satisfy that thirst. It appears that the technical under – the hood implementation of tagging in OS X 10.9 is more than very similar to the methods used by OpenMeta tags. This is good in two ways, as it promises a clean and simple transition, and the other is that we knew we had it right 5 years ago when we started working on a unified tagging solution for the Mac. Finally! Thanks for the reassurance. I’ll be using Leap preemptively this summer. 🙂 Can’t wait for something like ForkLift (or should that be ForkLeap) to have tag support. Tags in OSX Maverick may be the most important announcement from Apple since the iPhone. MS made two mistakes when Windows was young, they allowed developers to access Intel’s then new Ring Zero – thus assuring the future of rootkits, and they dropped plans to change FAT 32 to a relational data based WinFS file system. In a 2013 interview Bill Gates lamented not bringing a cloud friendly file system to market. My questions are based “tags” are perhaps the major feature of a data based FS, but there are a few other needs. First, what is the possibility of an OpenMeta tags version for FAT32/NTFS? As mixed OS files populate generic clouds like Drop Box it will be critical to find data using cross OS tags and OS agnostic full text indexes (eg – the full text index could point to a unique OS tag to retrieve NTFS and HFS files). So by “integrating and updating tags” will it be possible that all my tags in Leap will be viewable in the Mavericks Finder? And can tagging that I do in the Finder then show up in Leap? I feel that this would be quite a technical feat. Soulds great with Mavericks tag integration in your tools (and thanks for them by the way…they are brilliant). Any estimate on when new releases supporting Mavericks tagging will be? 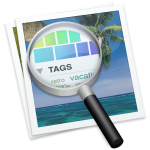 Whats the latest on the tagging integration with Mavericks? Do you have an ETA for delivery? Need a beta tester for this feature? I have been running 10.9 since WWDC. I have a pre release build of Leap 3.5 available here: http://www.ironicsoftware.com/downloads/LeapBeta.zip Feel free to email us at [email protected] with feedback. Most of my tags in leap come from a perl script I use to generate tags (based on folders it is contained in and words in the filename) using the openmeta command line tool. Ironicsoftware mentions that at least initially, all of the leap tags (based on openmeta, right) will be converted to Mavericks tags… but will this happen every time I open Leap? After the first conversion, can I continue my workflow of using the openmeta command line tool, and “assume” they will be converted to Mavericks tags at some point, or is the conversion only a one time deal? Leap will convert any tags it finds that are in older format into the newer + older format each time its run. Please can you clarify when this happens? I have a disk full of documents, many of which have OM tags. Will a single shot run of Leap (without any further action on my part) automagically convert all of those tags to OM plus Mavericks tags? Or are the tags copied across OM -> Mavericks when Leap opens each document? Or at some other time? I recall I read somewhere that Mavericks will also copy all the OM tags across as well, but of course I can’t find that reference now. Can you please confirm or deny this? And if it’s true, when does this happen? ie in the background, you just have to wait, or whenever a document is opened, or whenever it is clicked on in the OS, or …. Leap on each launch (it may wait for up to 10 mins) looks for all items with older OM tags that are different than the Mavericks tags. For Each document it finds a difference, it syncs them up, then marks a flag telling it not to copy OM tags into Mavericks tags ever again. This flag is important – we only upgrade tags once. Every time you set Mavericks tags using Leap, we also set older OM tags so that tags will show up if the file is viewed from 10.8 or 10.7. In about 18 months or less we will ship a version of Leap that does not set the older tags at all. Mavericks on its own will ignore OM tags. I just installed Yep 3.52 along with Mavericks. The tags that I created in Yep do not show up in the Finder sidebar and when I “Get Info” on a file, the tags created in Yep appear with dotted borders. What is the implication the tags having dotted borders and how can I get the Yep tags to show up in Finder’s side bar? The dotted borders mean that the tags have no colour. Apple does not have a way for us developers to set tag color. But we honour tag colours, if you set one in the Finder, we won’t change the colour back to no colour. Tags that you created in Yep will show up in the Finder sidebar, but it can take hours for Spotlight to get everything sorted out after a large change like all the new tags and installing Mavericks.